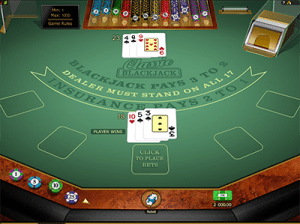 Online blackjack will be banned if the Interactive Gambling Amendment bill 2016 is agreed to. Online blackjack held on for dear life as the Interactive Gambling Amendment bill 2016 was debated by the Senate earlier this week. 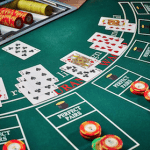 The bill was introduced last year in an attempt to close the loopholes, which has resulted in an increase in offshore online gambling, of the Interactive Gambling Act 2001. During this week’s sitting, the Senate passed some secondary amendments including the plan to phase out gambling ads during live sporting events. Senator David Leyonhjelm introduced a secondary amendment to exempt online blackjack, as well as online poker from the IGA 2001. He noted that this bill wouldn’t stop online blackjack players from engaging in the activity, just as the current legislation does not. “They are entertaining games of chance and considerable skill,” he said. Had it passed, it would have allowed Australians to continue to play online 21 for real money. While many Senators acknowledged the peer to peer nature of poker, blackjack was ignored and the secondary amendment failed by a resounding majority – 46 against and just six for. 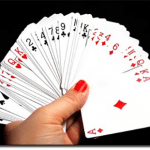 It is not known if it failed due to the inclusion of online blackjack. In an interview earlier this month, Australian Online Poker Alliance creator, Joseph Del Duca, said the inclusion would impact the result. He believed the two games weren’t similar since blackjack is played against the house. What does this mean for Australian online blackjack players? During the next parliamentary sitting, the lower house will review the bill with amendments and if agreed to the legislation will be enforced. This will see a number of providers withdrawing from the market. This may include Playtech, Microgaming, Net Entertainment, and more removing their services from popular online casinos. This may also see a large number of online casinos blocking Australians too, but as we’ve seen with the US online blackjack will still be available. Online payments haven’t been blocked so it may even be easier for Australians to continue to play online. Senator Leyonhjelm said the ban would push people to less trustworthy gambling sites and he’s right. “It [the legislation] will promote the black market. There are ways to circumvent these prohibition approaches. People will gamble using foreign providers by various means,” he said. We will keep you updated on the Interactive Gambling Amendment bill 2016 and any online blackjack provider withdrawals.